New Delhi : Pakistan Foreign Minister Shah Mahmood Qureshi called up Chinese State Councillor and Foreign Minister Wang Yi, briefing him about the Pulwama Attack ahead of India's foreign minister Sushma Swaraj's visit. 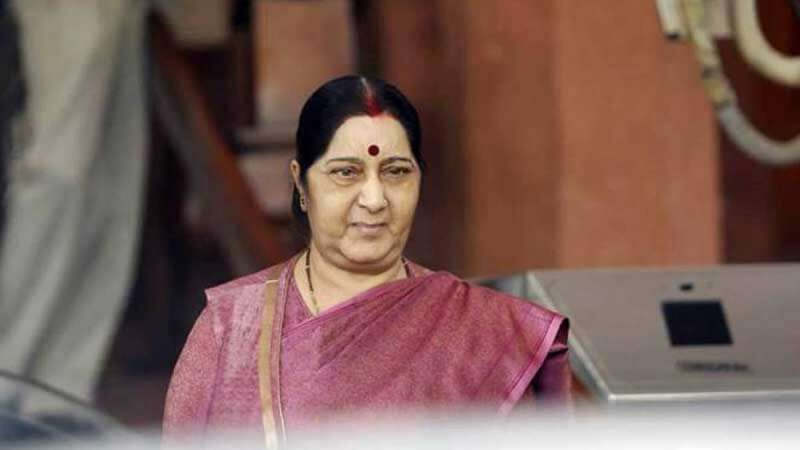 Sushma Swaraj has been scheduled for a visit starting from Wednesday. She will be holding bilateral meetings with Wang and Russian Foreign Minister Sergey Lavrov. Shifting its stand, China had signed the United Nations Security Council (UNSC) statement that “condemned in the strongest terms” the Pulwama attack and named Pakistan-based Jaish-e-Mohammad (JeM) for the “heinous and cowardly suicide bombing”. China's shift got significance as it was single-handedly batting in favour of Pakistan and was not letting JeM chief Masood Azhar listed as “global terrorist” for the last 10 years. At least three attempts in the last decade — in 2009, 2016 and 2017 — have been blocked by Beijing, ostensibly at Islamabad’s behest. According to sources mentioned in a news report, Sushma Swaraj is likely to raise the issue of listing of Azhar at the UNSC once again. “The ministers are expected to exchange views on the global situation, regional developments of common concern, address global challenges such as terrorism and discuss trilateral exchanges and activities,” according to a statement from Ministry of External Affairs (MEA).